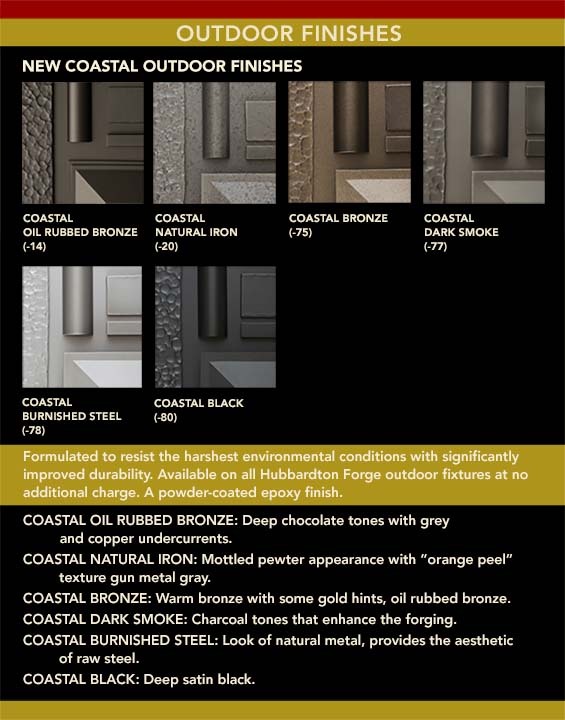 the Hubbardton Forge Lighting finishes. 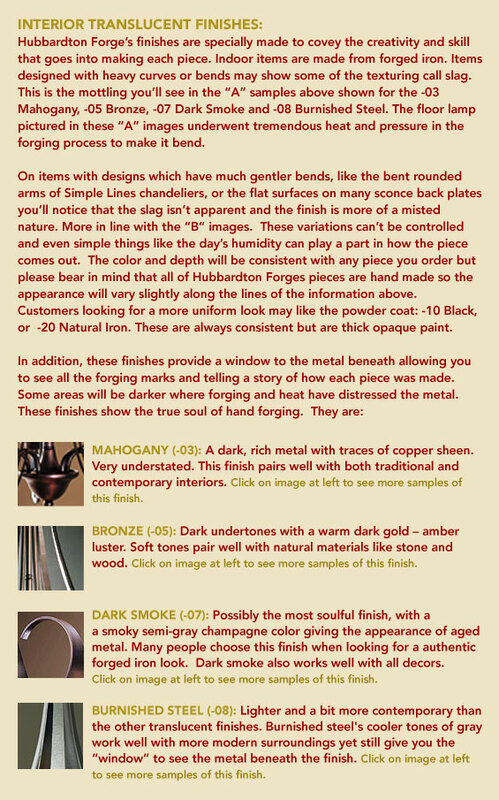 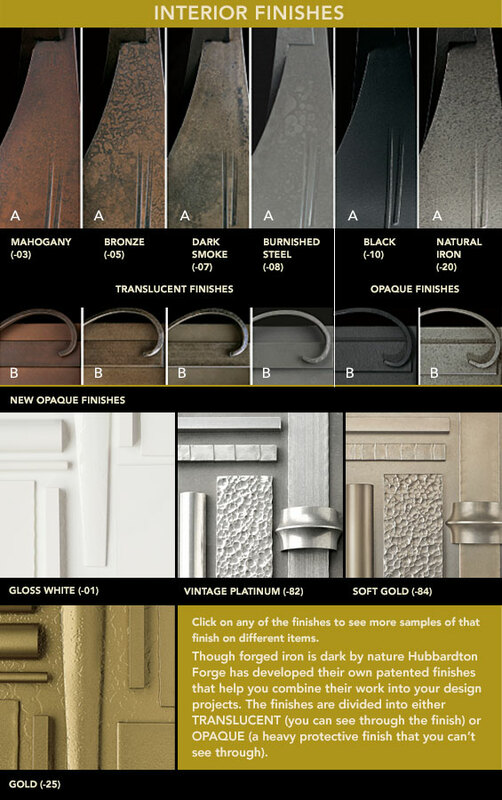 Shown here are the finishes available for your lighting. 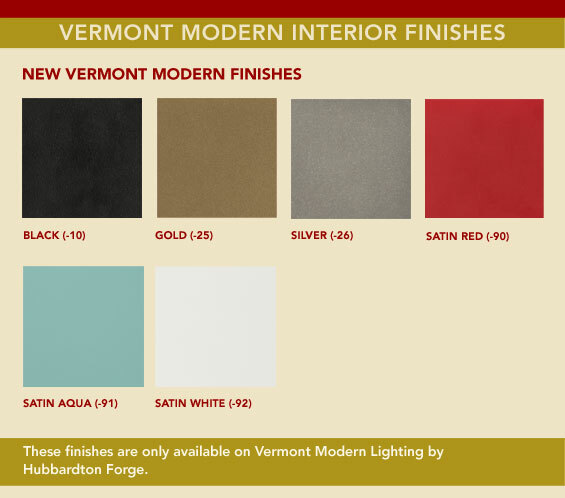 Interior finishes are on top of page. 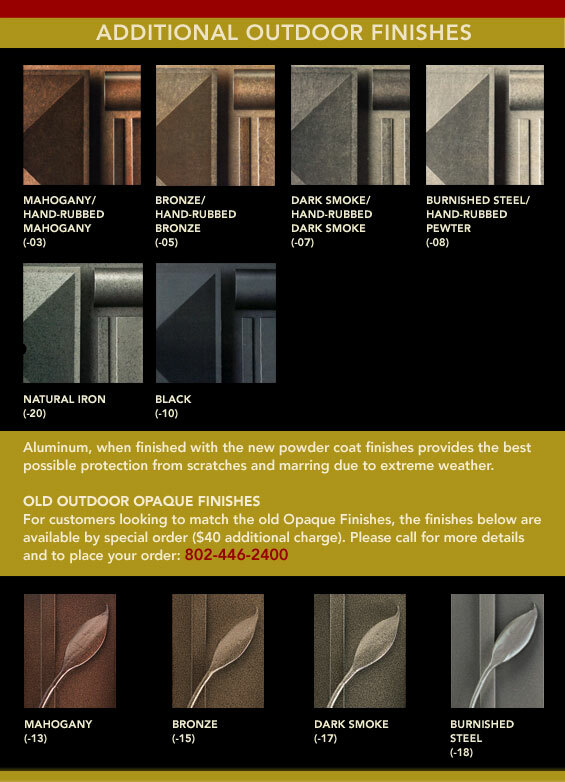 Scroll down to see Exterior finishes.